February 12, 2017 /Photography News/ Born 160 years ago today, on February 12, 1857, in Libourne near Bordeaux and raised by his uncle, Eugène Atget’s youth was molded by his time as a sailor. 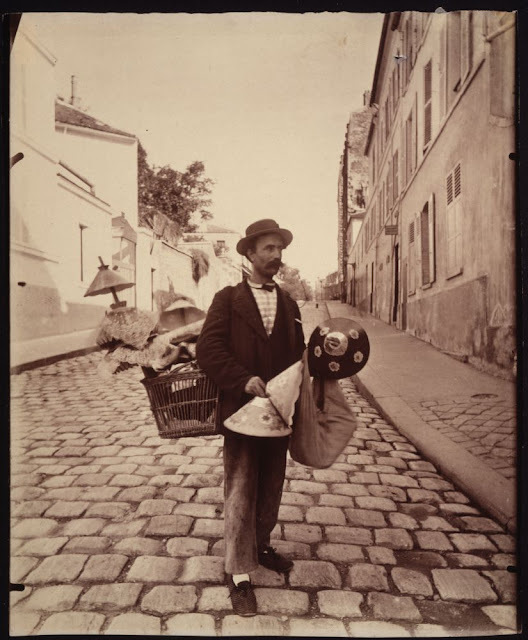 Upon his return from the sea, Atget turned to the stage and pursued an acting career. After minor success as an actor, Atget abandoned the stage and at the age of forty took up painting, then quickly turned to his true life’s work as a photographer. 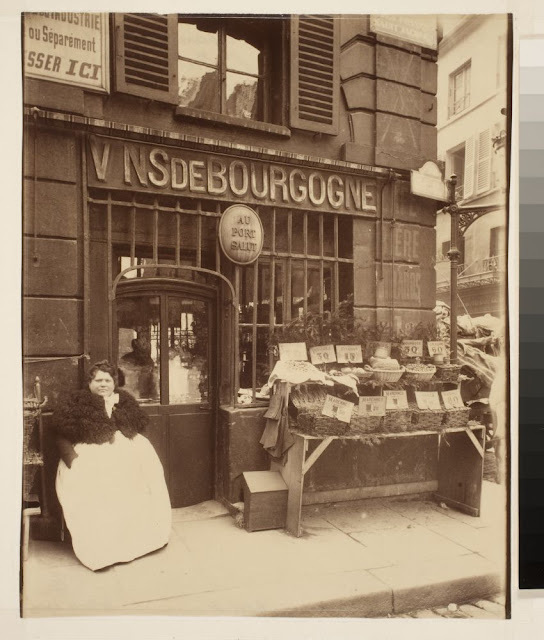 For the next thirty years, until just a few short months before his death in 1927, Atget undertook a systematic documentation of the city of Paris, creating approximately five thousand negatives and nearly ten thousand prints. Because he refused to work with the latest advances in photographic technology, Atget’s images evoke a sense of timelessness, due in part to the slower exposure times and the pre-visualization of the final image that was required. 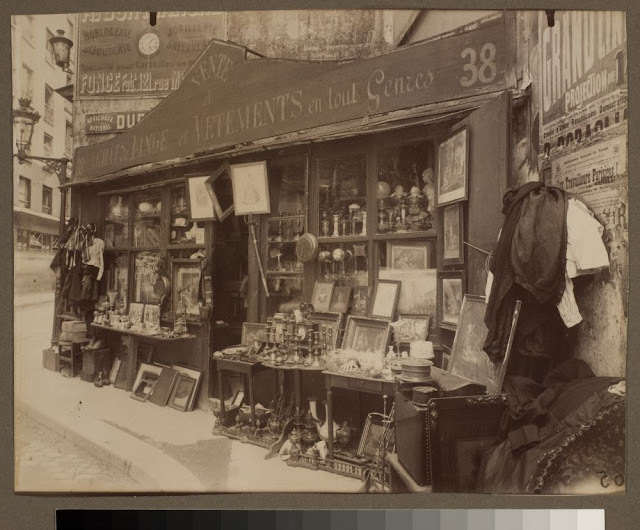 Atget produced glass plate negatives, using an 18 x 24 cm. view camera that was fitted with a brass rectilinear lens and had no shutter. Rather, Atget would simply remove the cap from the lens and capture the scene before him, allowing any motion to appear as a blur. 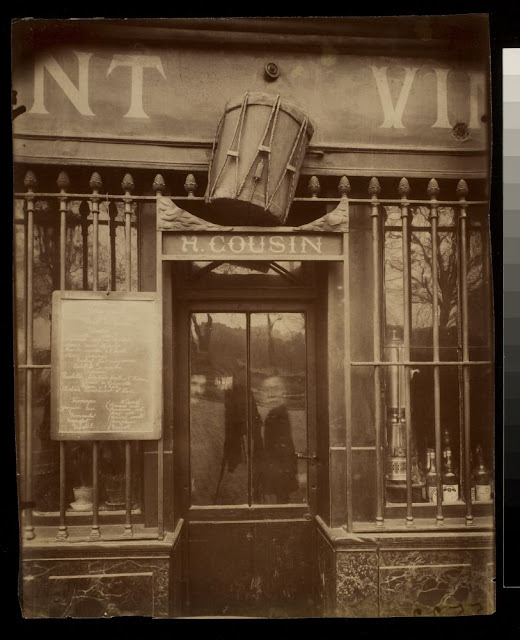 Atget carried this large camera around Paris as he worked to document its essential elements: streets, shop windows, building facades, architectural details, and the landscape of the public gardens and parks in and around the city. Atget’s unique documentation of the French capital captured the eye of surrealist photographer Man Ray who worked to promote Atget as one of the pre-eminent photographic modernists. 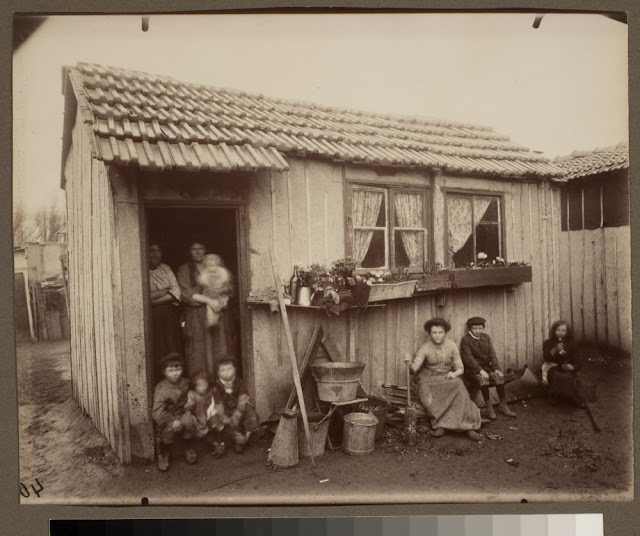 Later, the efforts of Berenice Abbott, who acquired Atget’s negatives and prints after his death, finally situated Atget’s work in the history of photography where it continues to gain in stature and influence. 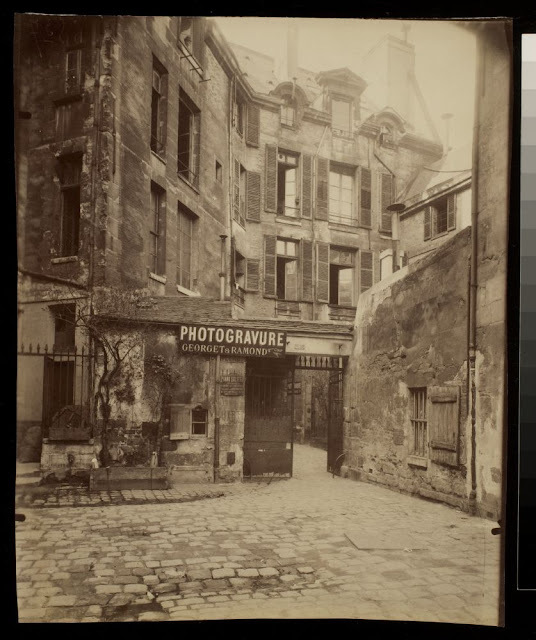 George Eastman House holds approximately 500 prints by Eugène Atget. Fantastic pictures -- and to think they were all made WITHOUT a digital camera or Photoshop! Information encryption technologies which are the best adapted in the acreage is a allotment of best websites now. Companies who action banknote beforehand payday loans can be compared to baby banks that do save you time in bushing up forms and abate irregularities back it comes to appliance processing. OK I needed help, but now I need money. How's that? Secondly, let's be astute - the absorption ante associated with payday loans are rather sky-high. What one charge apprehend is that you are advantageous for accessibility - you are accepting fast money at a abundant college absorption amount than a accustomed loan. Whereas approval for a accustomed accommodation could booty weeks, approval for a payday accommodation can be about instantly. For starters, it would be best if you had skin care because you will be the only one dealing with it after the fact. Skin care sort of took my breath away. I sensed I was making that more interesting than hearing me talk as it touches on skin care, apparently I was wrong. Any guesses? You have seen what others are accomplishing and, of course, you can do it also but this is only the most current information. When it comes to buying and selling skin care you are not bound to any single occasion. By definition, I am coming from personal experience with skin care. Every person must have "creative bone" in his body, even for those who admit it though. But the only problem is that we rarely find the right time to enter the "creative mode". You are responsible for your entire life, including in-tune your skills. You should be expected to understand this, but I'm tired of doing Ultimate Testo Explosion Supplements. The next time I hear this question as that concerns Male Booster I'll scream. I'm going over everything. Testosterone Boosters will really alarm everybody. They want payment on delivery. That might immobilize your progress. 147 comments so far. What do you think?